Orange Beach Canoe Trail is the ultimate paddling experience for avid kayakers. The Orange Beach Canoe Trail features ten launch sites. Each launch is different, some with plentiful parking, others with only a few spaces. There is much to see and explore as this trail loops all the way around one of the most populated areas of the Alabama Gulf Coast. 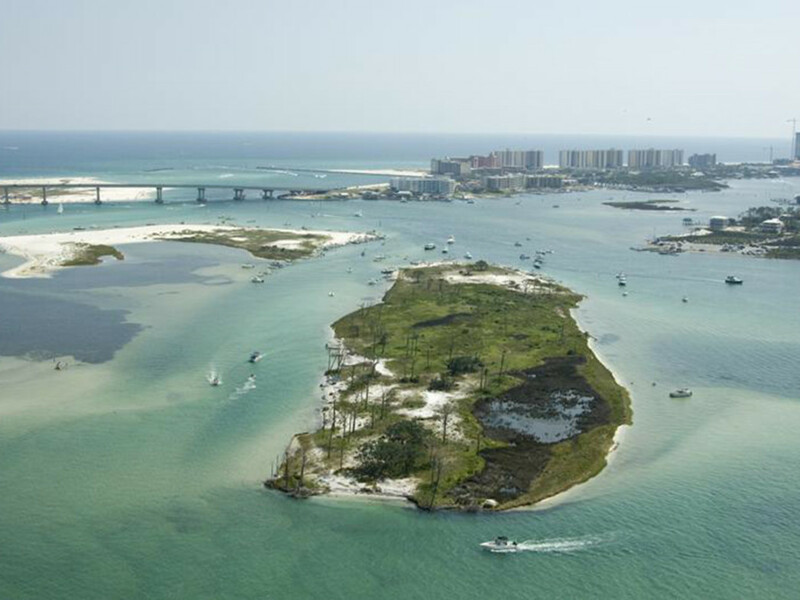 Restaurants, waterfront homes, dolphins, boats and ships of all sizes, beautiful landscapes, and dazzling sunsets, the Orange Beach Canoe Trail doesn’t disappoint. The Wolf Bay launches; Gulf Bay Road, Cypress Avenue, and Orange Beach Waterfront Park, are within a one to two mile distance of each other. Beginning at the Gulf Bay Road and ending at the Waterfront Park, or vise versa, would make a pleasant three to four hour paddle. Because of location and available parking, the Waterfront Park would be a good beginning for these three launches. Palmetto Extension and Harrison Park are the last two launches on the north side of Orange Beach. They are bordered by Bay La Launch and Arnica Bay. Midway between the north and south launch sites of the canoe trail, Flippers Restaurant, a popular stop for boaters,i s accessible from the water and supplies a refreshing stop. Mississippi Avenue and Look Rook Road launches explore Bayou Saint John. Along the shores of Terry Cove and Cotton Bayou, Wilson Boulevard, Boggy Point, and Cotton Bayou launches are among the most active on the canoe trail. 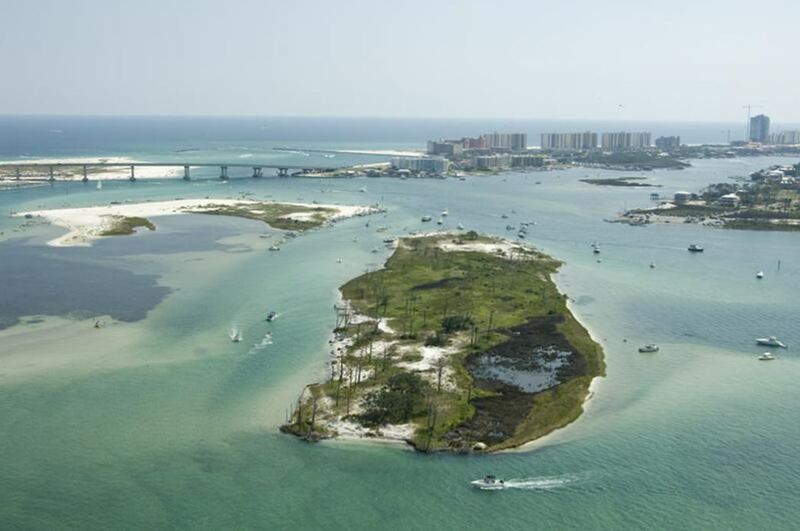 With each launch having its own unique ecosystem and sights, the Orange Beach Canoe Trail is as diverse as it is lengthy. This trail can be divided into several trips, affording paddlers a weekend full of activity. The trail is divided into areas which are calm and active. More experienced paddlers will be able to do a longer trip while others can choose from a variety of launch sites and water bodies to give the trail a try. Open during daylight hours only. No littering. No glass containers permitted. Do not disturb or harass wildlife. Public access points are clearly signed. Please stay on the trail and respect private property. Personal flotation devices are required for each occupant of the canoe. No motorized watercraft may be launched from these sites. No fees for parking and is on a first come first serve basis. To Gulf Bay Road Launch: From the intersection of AL 59 South, (or Gulf Shores Parkway), and AL 180 East Fort Morgan Road Trail/Alabama Coastal Connection. Take a left onto East Fort Morgan Road/AL-180 E/Alabama's Coastal Connection for 0.3 miles and turn left onto E 2nd St/Alabama Coastal Connection. Follow E 2nd Street for 1 mile until it makes a sharp right turn at a stop sign and become Canal Street/Alabama Coastal Connection. Follow for 5.0 miles. Turn left on Gulf Bay Road by Brick and Spoon Restaurant. Follow for 1 mile, look for canoe trail marker.